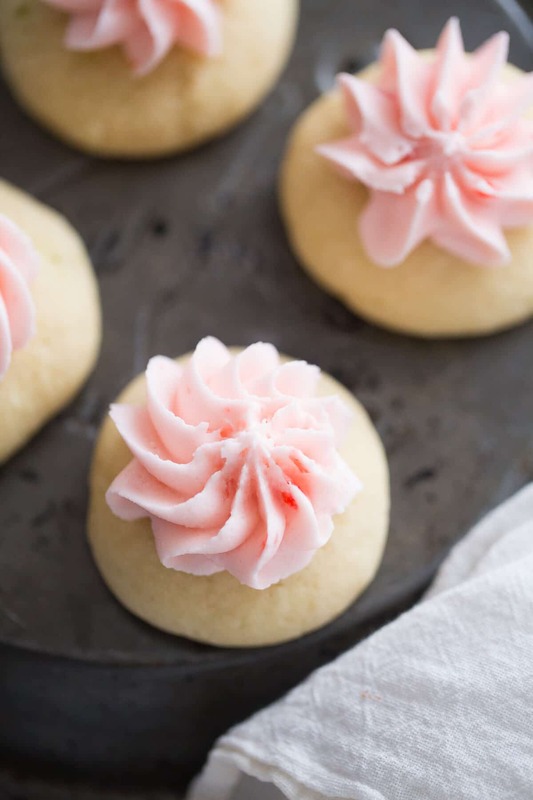 These sugar cookies are perfection! 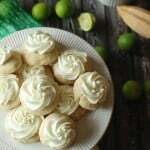 Lime cookies are soft and tender; they are the perfect blend tangy and sweet. The cherry frosting luscious and creamy. Frosting and cookie were meant to be! I denounced grits for years. I wrongly assumed I would hate them, therefore I never bothered to try them. This makes me a complete hypocrite; please don’t tell my kids or the years I’ve spent urging them to try new things would be for not. The reason I thought I would hate grits is because in my mind they were going to taste just like cream of wheat. I have had cream of wheat and I don’t think I have ever tasted a mushier, blander tasting food. Someone, please tell my why this food still exists? Who eats cream of wheat these days. My husband and I took a quick little trip to Asheville North Carolina this past weekend. I could spend several blog posts writing about all the fabulous food in that city, and perhaps some day I will. I’m not going to go into it today, I’m simply going to say that I tried grits (and shrimp) for the first time and it was amazing! Grits were nothing that I expected them to be, they were way better. Each component of that meal had a part to play in the whole extraordinary flavor experience. The same holds true for these lime cookies. 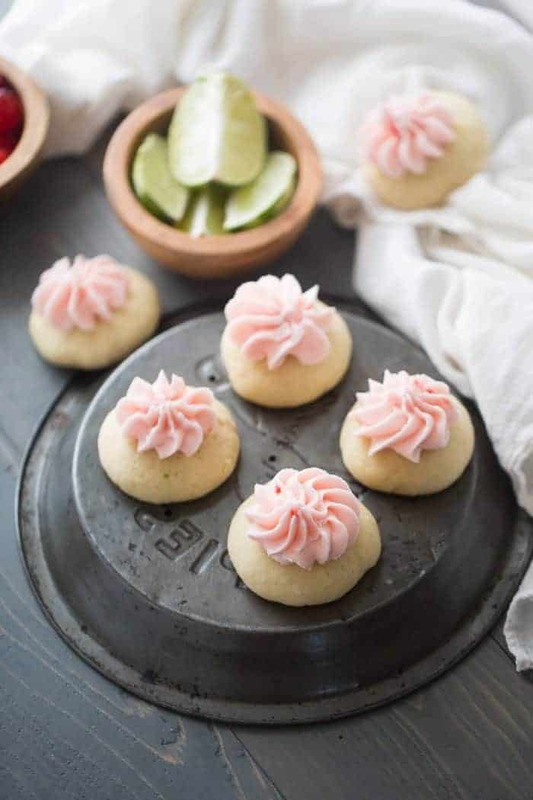 Soft and ultra tender sugar cookies are subtly sweet which is complimented by specks of lime zest and lots of tart lime juice. But while the cookie is tangy, the frosting is anything but. The frosting is an easy buttercream that is full of chopped maraschino cherries and cherry juice. Lime and cherries make for pretty little partners both visually and in taste. 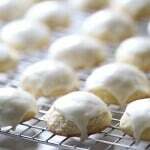 This recipe is based on my key lime sugar cookies and more loosely on my lemon poppyseed cookies. 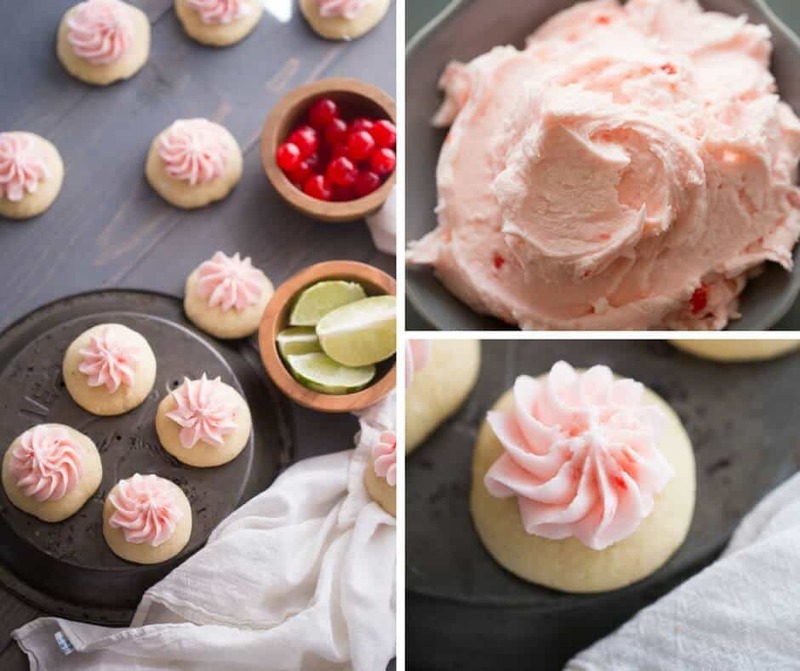 This is a drop sugar cookie recipe which is simple and quick. 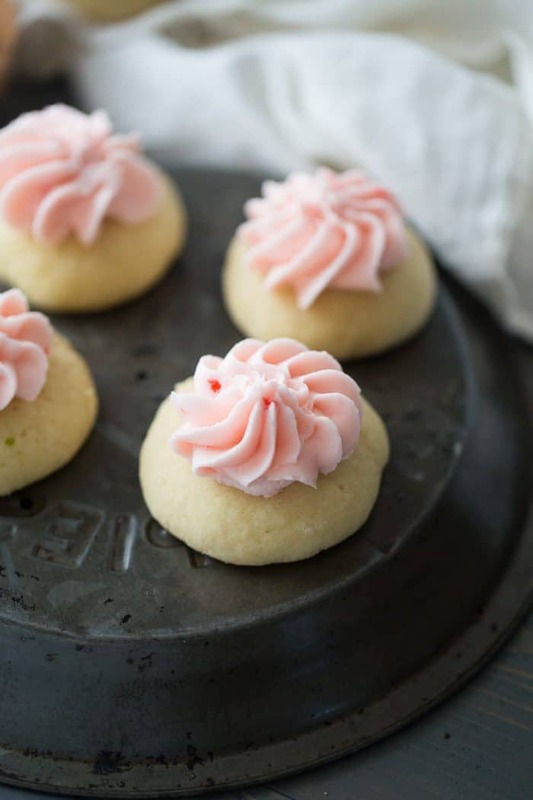 It is an absolute no-fail sugar cookie! 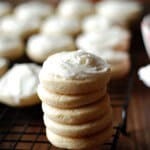 Soft, lime cookies are tender sugar cookies that have both tangy and sweet flavors that will tantalize your taste buds! Preheat oven to 350 degrees. Spray your baking sheets with non-stick spray or line with parchment paper; set aside. In the bowl of a stand mixer, combine the sour cream, butter, and sugar. Beat until smooth and creamy. Add in eggs. Beat in lime concentrate and zest. In a small bowl, combine flour, baking powder, baking soda and salt. Slowly add dry ingredients to wet ingredients until completely combined. Scoop batter my rounded spoonfuls and with floured hands, roll cookies into a ball. Flatten cookies with the bottom of a glass that has been dipped in sugar. Bake cookies for 8-9 minutes, or until golden around the edges. Remove cookies from the oven and place on a wire rack to cool. 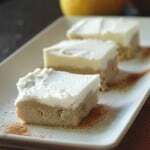 To prepare the frosting, combine butter and shortening in the mixture and beat until creamy. Slowly add in powdered sugar 1 cup at a time. Mix in cherry juice and finely chopped cherries and continue to mix until frosting is spreadable, adding milk, cream or water as needed. Love lemon poppyseed? How about trying them in cookies! Key Limes are the star of the show in this eacy little sugar cookie. You’ve never had eggnog quite like this! 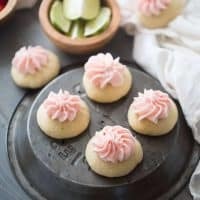 Sugar cookies in bar form; apple sugar cookies are perfect for fall! I would love to have you for hours! Thank you Maggie! I couldn’t possibly love these more. YUM! Beautiful cookies but no flavor!! The frosting was anything but cherry flavor. Honestly for clue as to how many cherries to put in frosting?? Do you try to develop a recipe or do you feel a need to publish any sort of recipe?? Wow, Betty, I resent that. I have used this recipe base several times on the blog and I use it regularly for my family. I’m sorry you had a problem with the recipe.